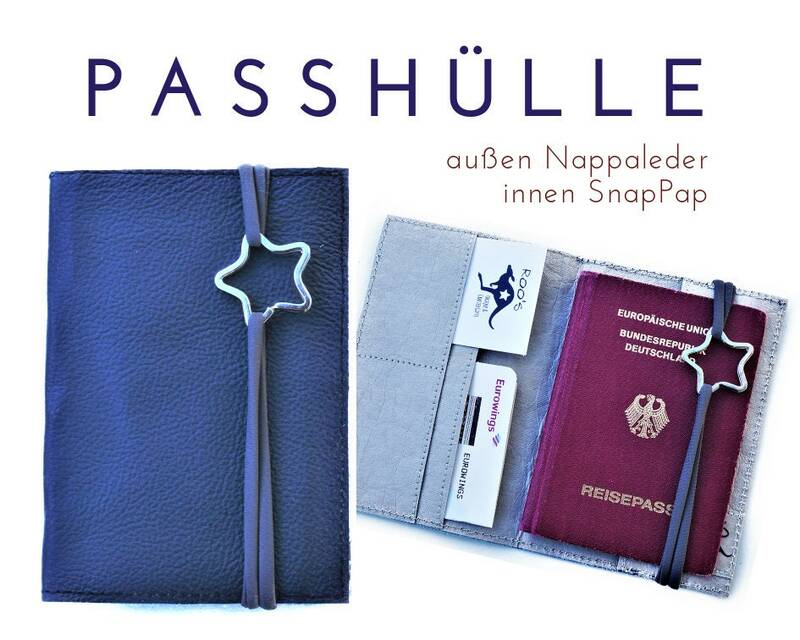 Practical Passport case for the passport made of genuine nappa leather in a dark blue-grey. 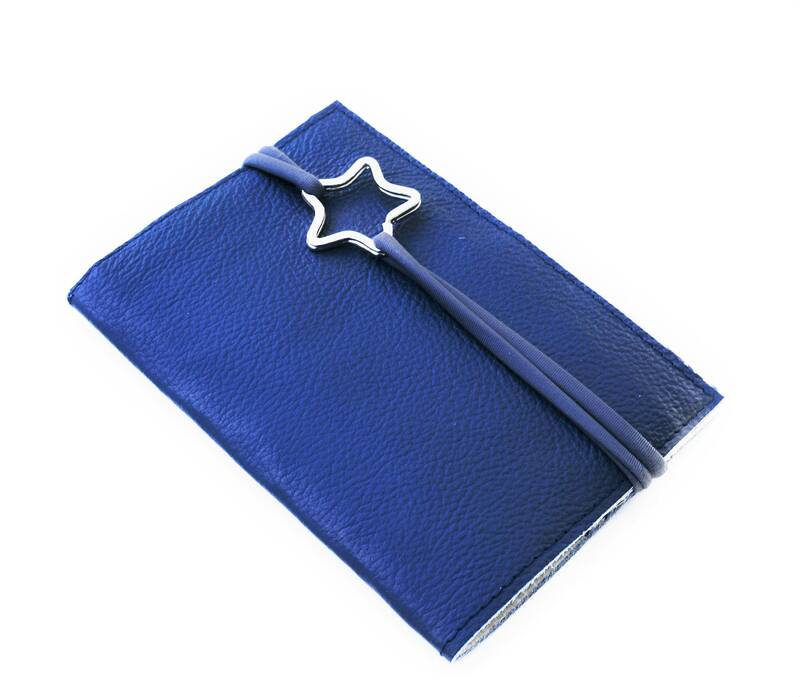 The small wallet is sealed with a narrow grey nylon rubber band with a metal star (key ring), which can be easily pushed to the side for opening. 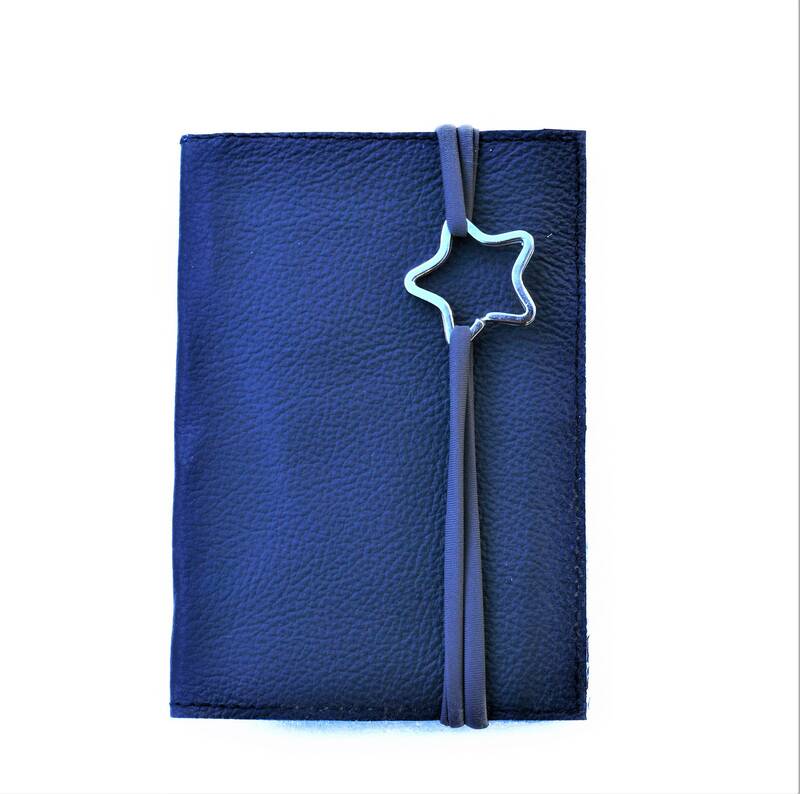 Inside is the cover of light grey SnapPap, a washable paper in leather look. The envelope in the format 10.5 cm x 15 cm offers space for a passport, as well as identity card, driving license, credit card, business cards, money, etc. 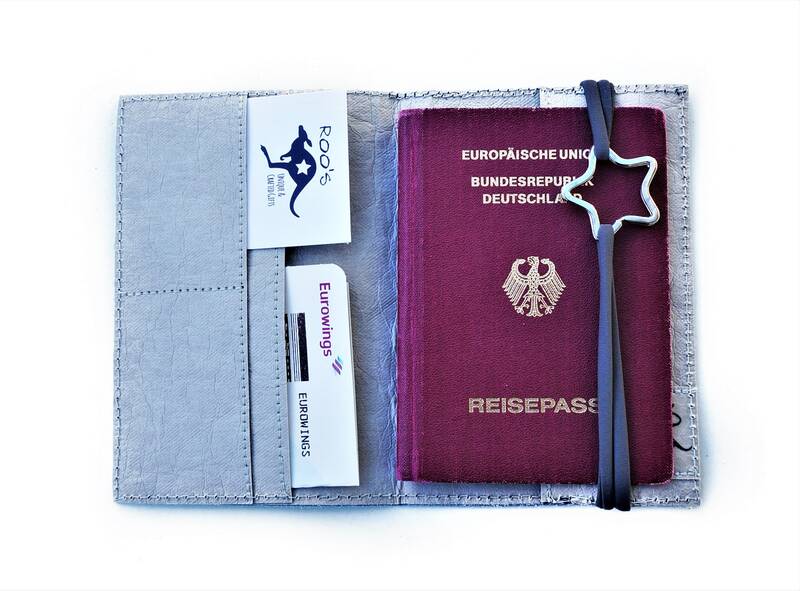 A great gift for all Globetrotters!